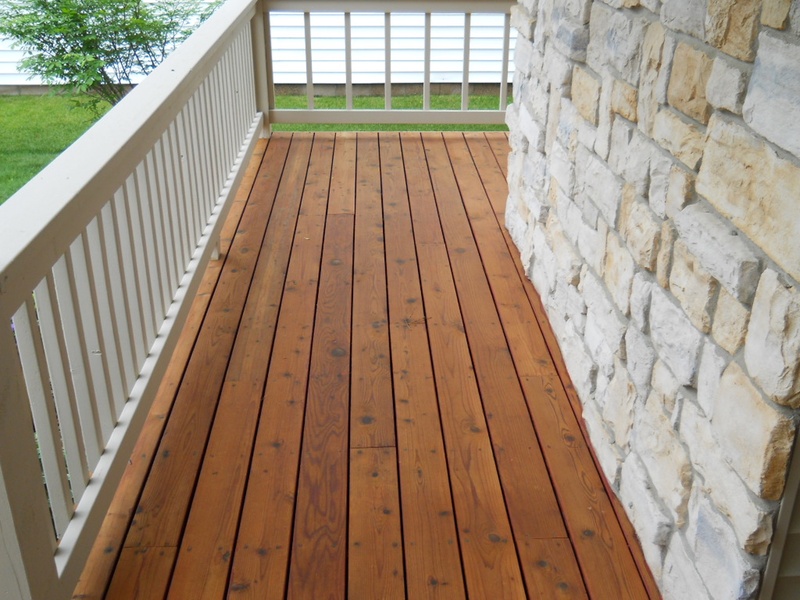 If you have a painted (solid color stain is the same as paint) deck you have learned the hard way that paint does not hold up on horizontal surfaces. Due to the nature of wood, paint simply can’t adhere to horizontal surfaces over the long run. It is common for the sun exposed side of a board to be 50 degrees hotter than the bottom side. This causes the warm side of the wood to contract while the bottom cool side stays swelled. This constant swelling and shrinking, churning and twisting make it impossible for paint to adhere to the horizontal surface of the wood; the result is peeling paint. Roof to Deck Restoration can restore your painted deck to where you will enjoy your deck again with family and friends. Unfortunately, we can not strip your wood using a stripping agent and a power washer. We need to remove the current coating from you wood so we can stain it with a beautiful and maintainable oil based stain. To do that, we need to remove the coating mechanically. Due to the labor and equipment involved, removing a coating mechanically is triple the price of removing it chemically. Here are your available options. Paint over the current coating. Lowest cost, short term solution. The new paint will begin to peel within months. We can refer a painting contractor in your area. Please contact us. 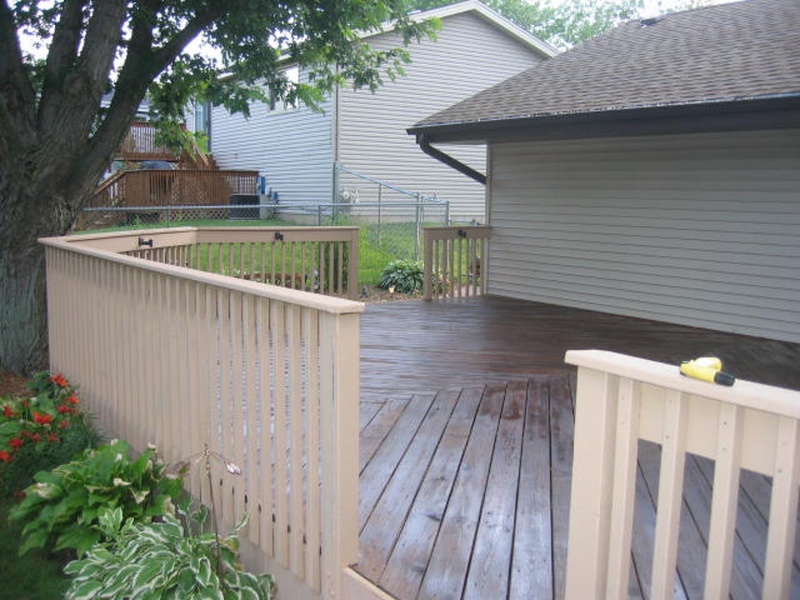 Replace the decking, spindles, railings, etc. Highest cost option. The framework and foundation of your deck will be used to rebuild the decking, railings, steps, etc. 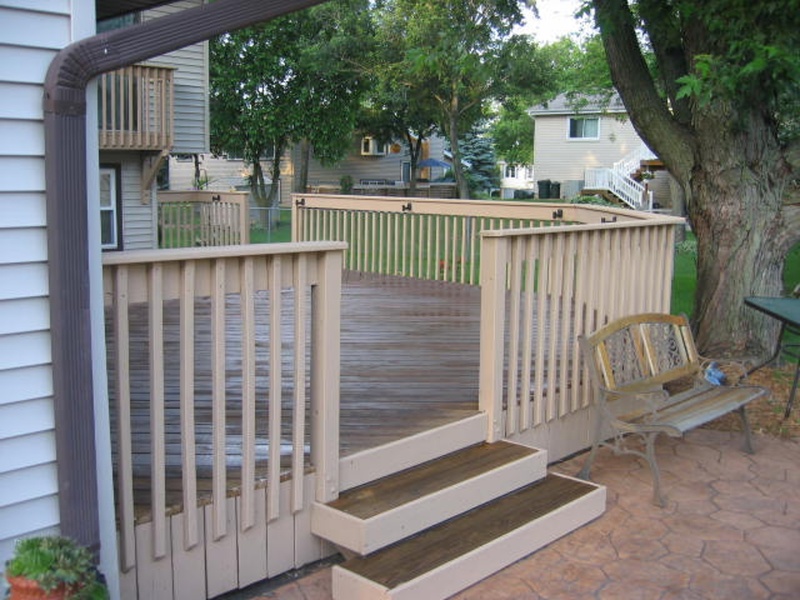 We work with Ugly Deck at (952) 736-3308 and The Deck and Door Company at (952) 432-1888. These companies are not affiliated with Roof to Deck Restoration and we do not receive compensation from either company. They also refer customers to us. There are 2 options that we offer. Option 1: Sanding the primary horizontal surfaces and painting the vertical surfaces. We can’t sand spindles or anything vertical. We sand the walking surfaces of the floor, steps and top of handrails. If there are benches, we sand the seating surfaces. We are unable to sand between the floor boards. We then paint the vertical surfaces. The result is a beautiful deck where the horizontals accent the vertical surfaces and the verticals accent the horizontal surfaces. See pictures above. If you are considering this option, one of our people will visit your home or business to discuss the specific details of your project. 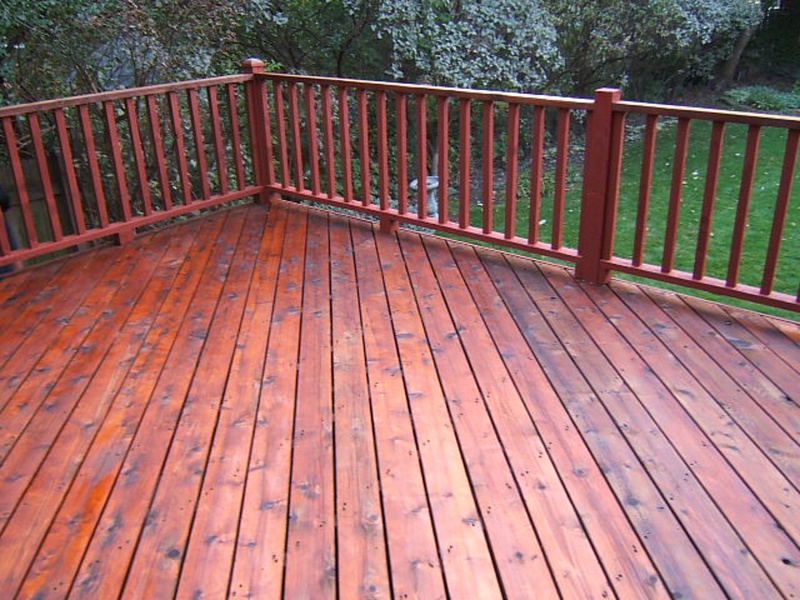 Option 2: Hydrowashing the entire deck including horizontal and vertical surfaces (spindles too). In 2017 we discovered Hydrowashing, which is essentially a sand blaster (we don’t actually use sand) that uses water to propel the media. Using water to propel the media reduces dust by 93%. The negative consequence to Hydrowashing is that it removes a little bit of the wood along with the coating. The older the deck the harder the wood is and the less wood that will be removed. New wood is softer than old wood. View the video below. Hydrowashing is not applicable to every project. If you are considering this option, one of our people will visit your home or business to discuss the specific details of your project. Whether you choose option 1 or option 2, the price is the same. 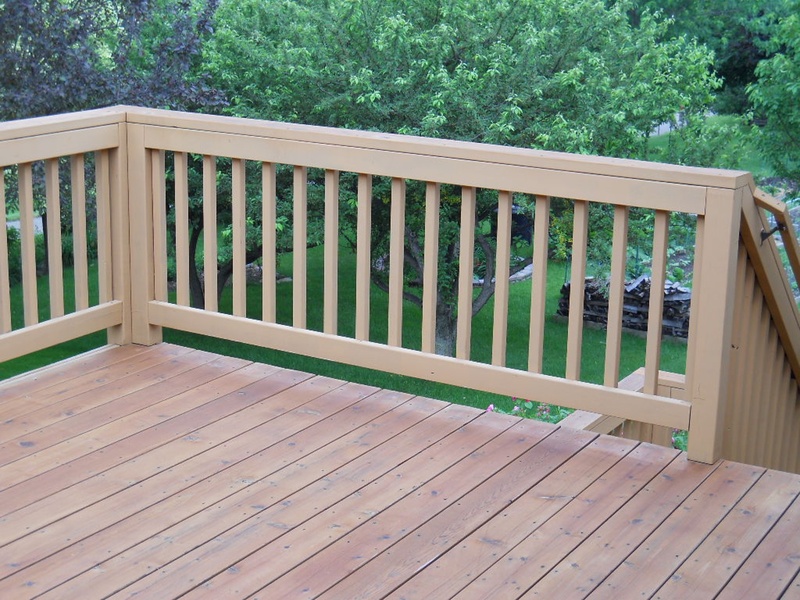 Keeping your wood deck healthy and looking new takes regular maintenance. Just like cleaning your bath tub, horizontal surfaces accumulate dirt. 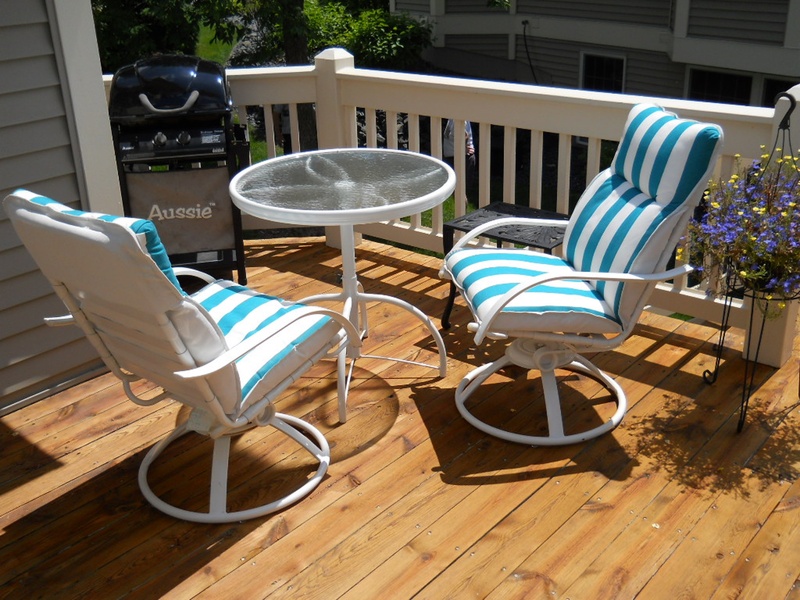 The walking surface of your deck also experiences extreme sun exposure. 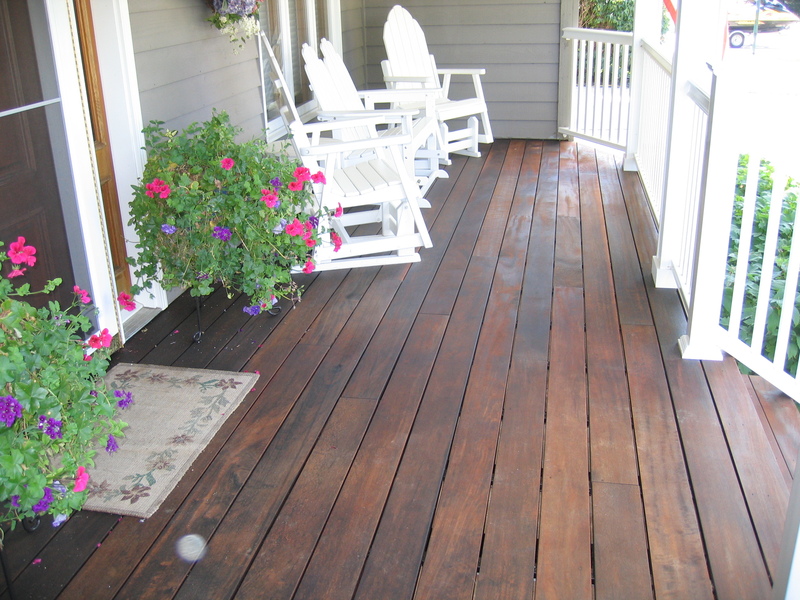 Typically horizontally surfaces of a wood deck must be cleaned and stained every 2 to 3 years. Vertical surfaces need to be cleaned and stained every 4 to 5 years. 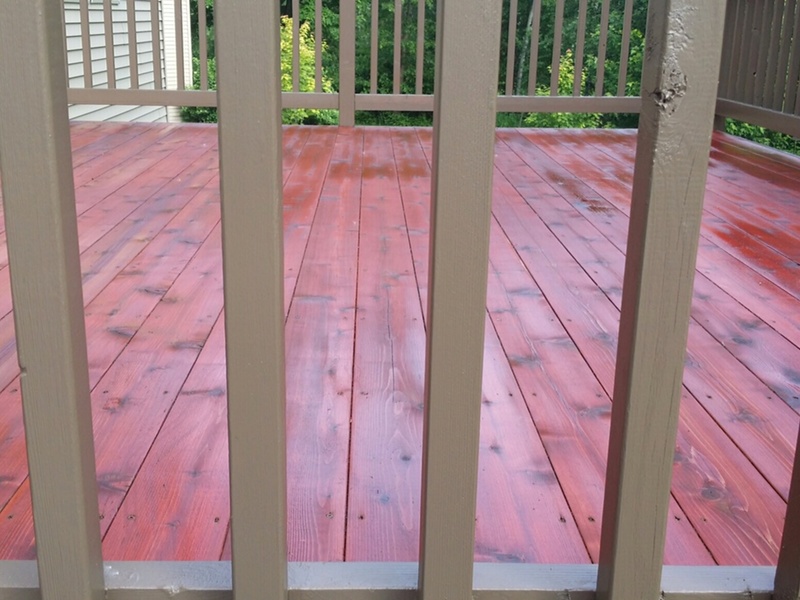 Sealing and staining your wood deck, fence, gazebo, etc. will help protect your wood from warping, cupping, warping and rotting. 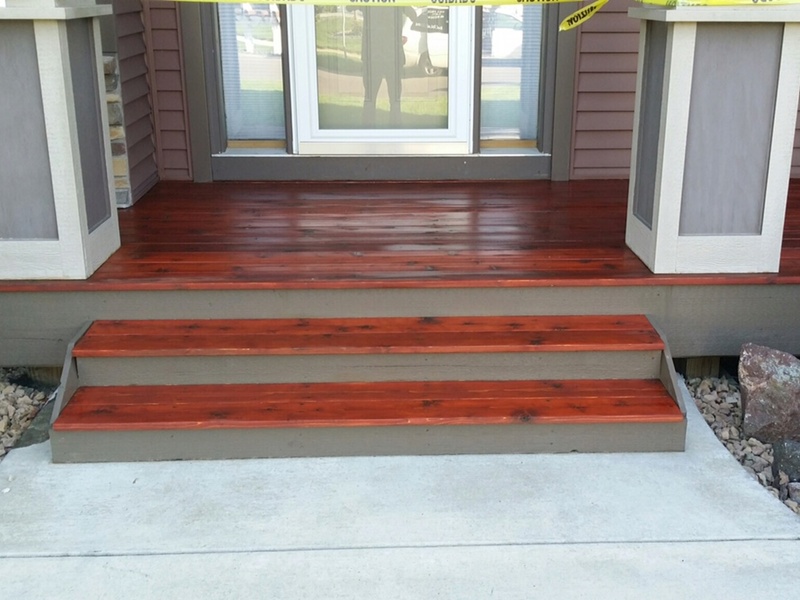 The stain you use on your wood is the most important decision you can make. Due to VOC laws, many manufacturers are moving to water based products. The problem with water based products is that they are not maintainable. Water based products are not removable without sanding or hydrowashing. Oil base stains can be efficiently and safely stripped. 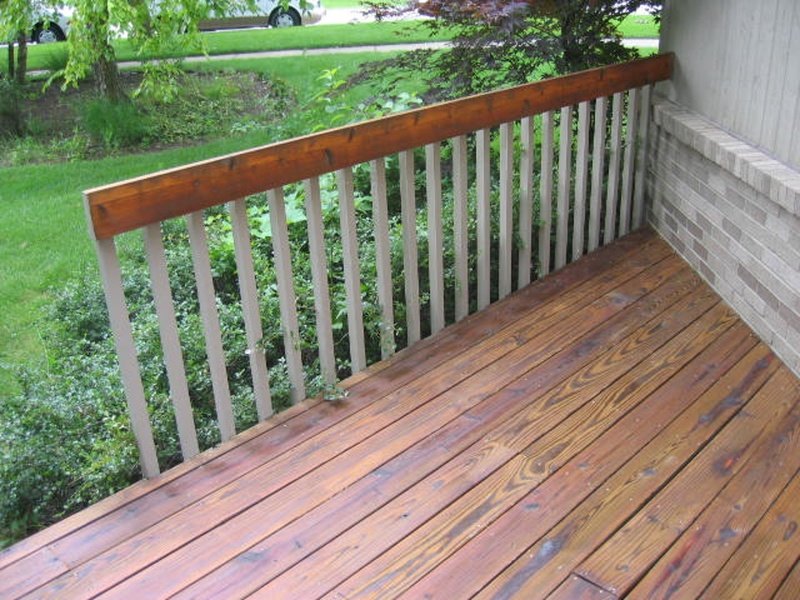 When it comes to a deck, never apply a water based product. When it comes to vertical based wood like fences and gazebos, understand that once you stain (paint) it with a water based stain, it is expensive to go back to the natural wood look again.